The picture above was taken earlier than the one below. 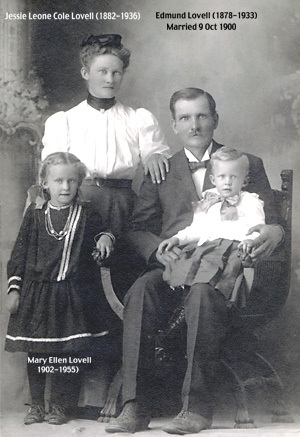 Edmond Lovell, son of Joseph Hyrum and Leah Ellen Radford Lovell, was born 26 June 1875 in Oak City, Millard, Utah and died 12 November 1933 in Idaho Falls, Idaho. 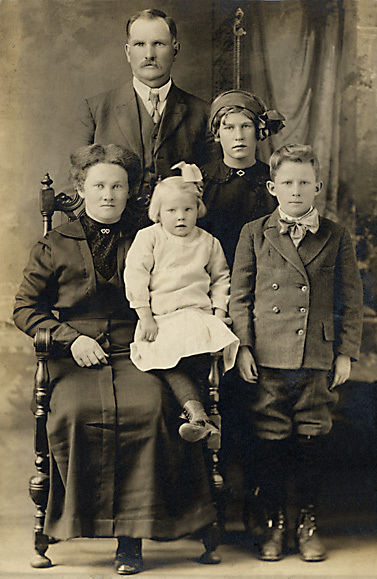 Jesse Leone Cole was born 2 April 1882 in Covington, Fountaine, Illinois and died 12 Nov 1933 in Idaho Falls, Idaho. They were married 9 October 1900. Four children were born to this marriage.